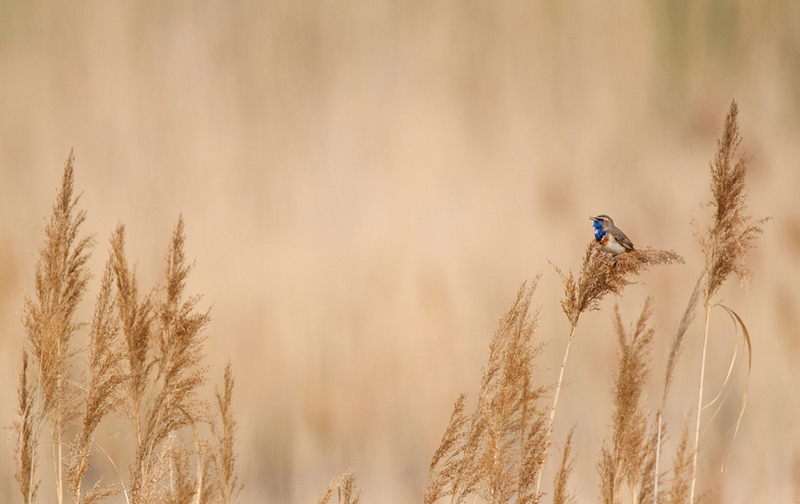 A male Bluethroat is singing to attract a female. These migrating passerines return in April for breeding in our region. It was not possible to come closer to this little fellow, so I made a virtue out of necessity and integrated the sourrounding habitat into the image. Nicht formatfüllend, sondern mit Umfeld!